TSN Unveils Upcoming Schedule - College Hockey, Inc.
Six televised NCAA games among 30 available to Canadian viewers in next six weeks. 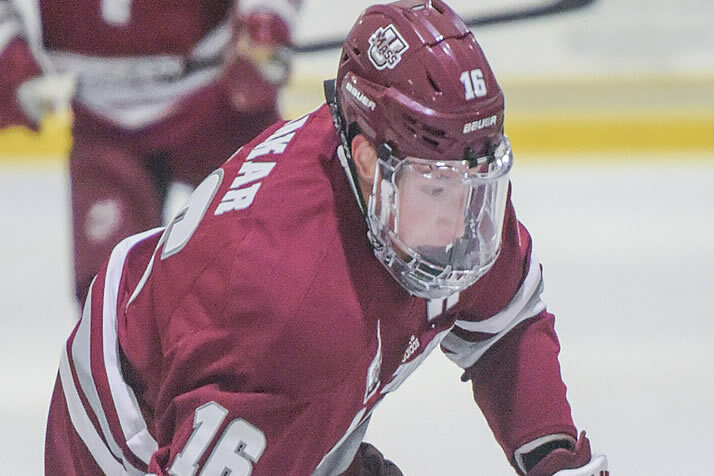 Cale Makar leads No. 2 Massachusetts against Vermont on TSN2 Jan. 11. TSN’s coverage of NCAA hockey will feature 30 games in the next six weeks, including six televised on TSN or TSN2, bringing the talent and excitement of U.S. college hockey into Canadian homes. Those games include Canadian World Junior alumni Cale Makar (Massachusetts), Shane Bowers (Boston University) and Dante Fabbro (Boston University) as well as fellow first-round NHL draft picks Jacob Bernard-Docker and Jonny Tychonick (North Dakota).